The Chubbsafes DuoGuard Grade 1 Size 450 is certified by ECBS to European standard EN 1143-1 Grade 1. It is suitable for floor mounting and is provided with bolts allowing for the safe to be permanently fixed. Once fitted, it has a cash rating of £10,000 and valuables of £100,000. Furthermore, it is certified by ECBS in accordance with the European standard EN 1047-1 in class S 60P thereby providing up 60 mins fire protection to paper documents. 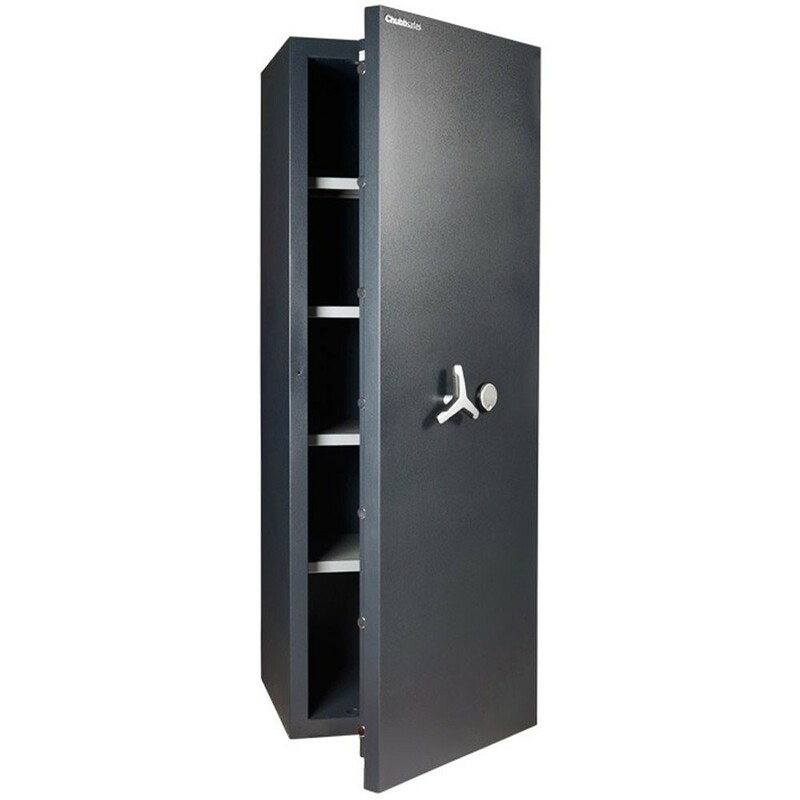 This safe is operated using an EN 1300-certified Class A key lock, and secured with a 3-way locking mechanism with solid steel bolts. 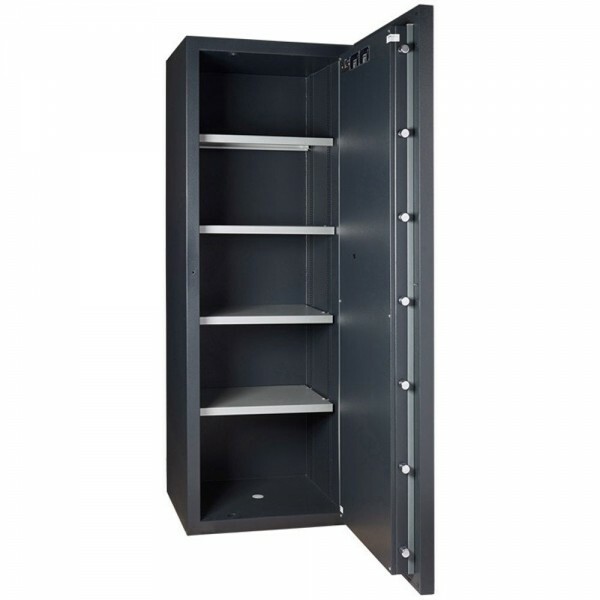 The Chubbsafes DuoGuard Grade 1 Size 450 has adjustable shelves allowing you to organise your valuables as desired.